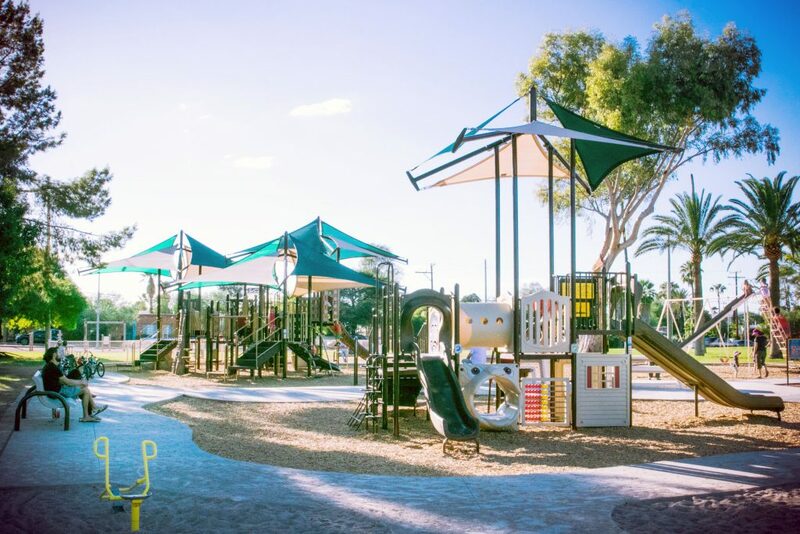 In 2018, Kappcon and the City of Tucson Parks & Rec department teamed up to breathe new life into Himmel Park. There are now designated play zones for younger and older children as well as picnic tables, water fountains and shady areas for parents. Parents will also be pleased by the new concrete pathways that allow strollers to easily access different points within the park. Most importantly, the beloved metal slide community members rallied to protect is still standing. Tucson kids will be able to zoom down the freshly painted retro slide for decades to come! 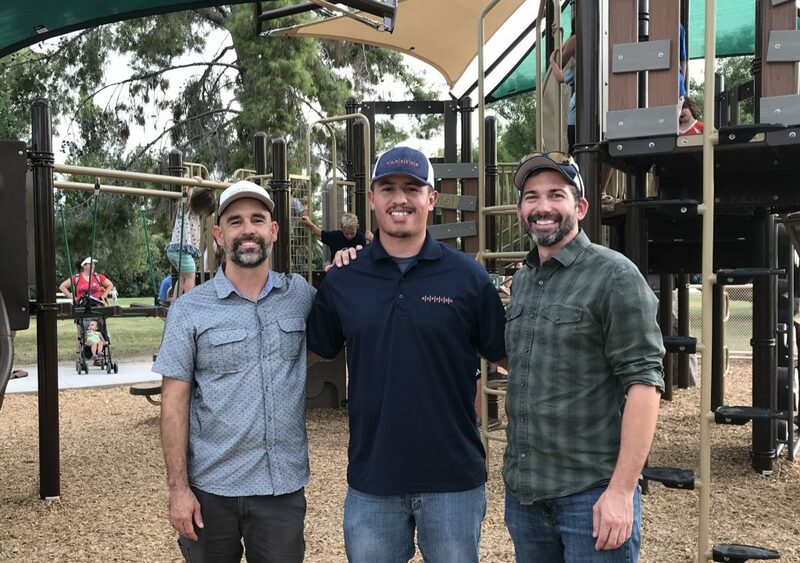 Thank you to the Tucson community for your support throughout this project. It is one of our favorites of 2018! See the lovely write up from This is Tucson for more pictures! ← A bluegrass dinner to celebrate the Christmas Season!